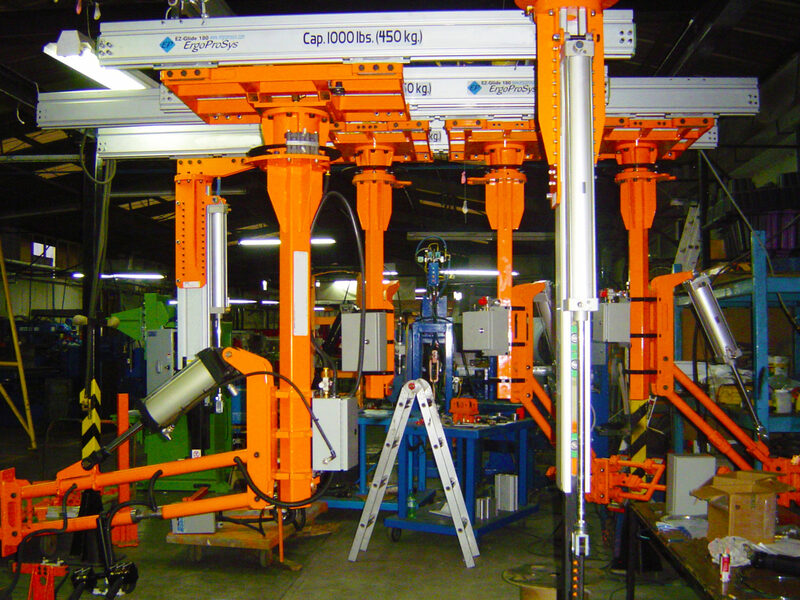 The ErgoProsys Rail is extruded from a high-strength aluminum alloy which provides a very light weight yet strong ergonomic platform for solving many in-process product and material handling requirements. 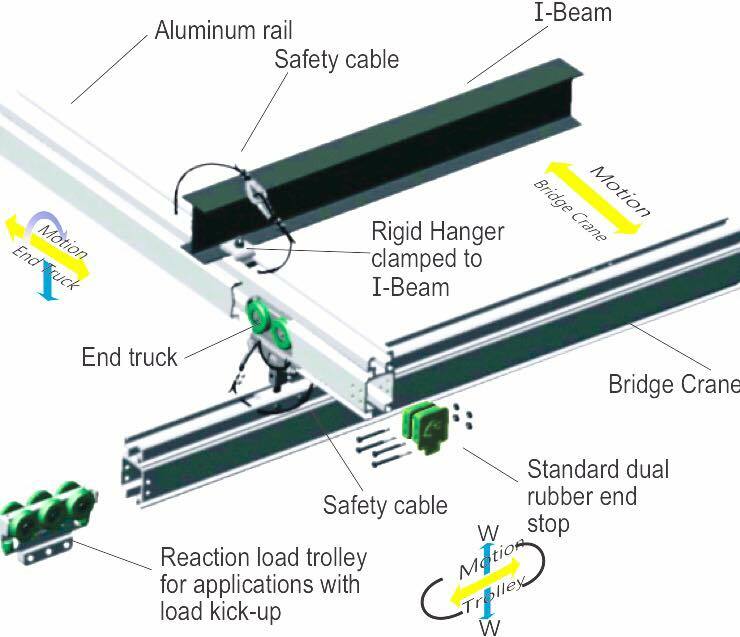 The ergoprosys rail system is designed and developed to meet and exceed industry standards. Our systems are tested by independent labs at up to five times the rated capacity to assure safety. 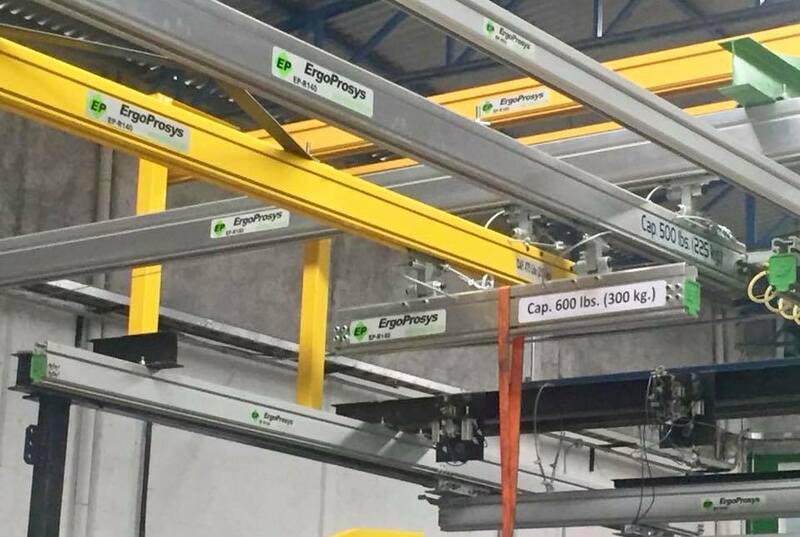 The light weight Ergoprosys rail system better matches the overhead handling system to the load and production process. 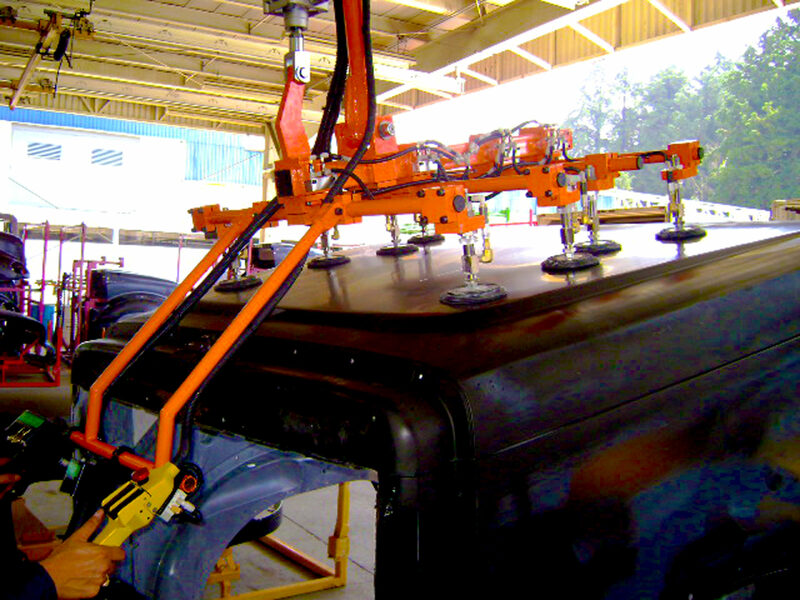 The overhead rail system can be quickly configured and installed by plant personnel with considerable savings in both time and cost. The Ergoprosys rail is non-painted and corrosion free. The enclosed trolley track resist dirt build up for smoother and quieter operation. The rails are also uniquely equipped with dual T-slots on both sides facilitating alternative mounting of the rails; inverse or side mount. This also makes the rail ideal for integrators and end users where equipment can be mounted directly to the rail.